Most practising archaeologists have preferred to leave the deep theories of what lies behind their methods and perceptions on one side. Now archaeologists have faced up to the difficult task of making (or not making) the connections between the past, interpretation and the present. The writers of this volumes address the problems of archaeology, sometimes warily and sometimes with enthusiasm. 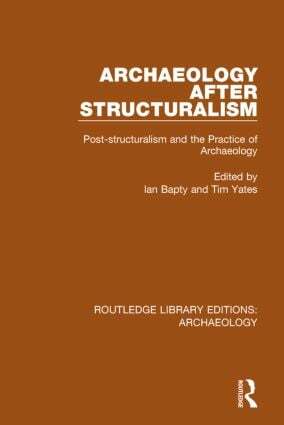 The connections are not easy to accomplish: a great deal of theory seems of little relevance to the everyday practice of archaeology, and much of post-structuralism refers exclusively back to itself rather than to the more specific concerns of a historical discipline. But where the junction between post-structuralism and archaeology can be made, the results are innovative and enriching. Originally published in 1990.